All homes currently listed for sale in the zip code 90016 as of 04/26/2019 are shown below. You can change the search criteria at any time by pressing the 'Change Search' button below. "Nestled on almost 7000 square feet corner lot is a recently updated 2 Bed, 2 Bath home plus a guest house with kitchenette and bath. Front porch, open and inviting floor plan with hardwood floors and period detail. Completely remodeled bathrooms.Master suite with large remodeled master bath and hardwood floors. Bonus room/Den completes the main house. Large backyard with BBQ grill, storage and a beautifully finished guest house, featuring a kitchenette and bath is perfect for guests or in laws. Buyers to verify all information including square footage and permits. Listing consists of two APN numbers. 5062-025-071 & 5062-025-072. 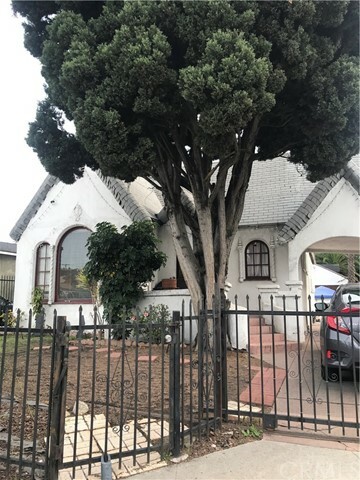 As per LADBS total of 6916 SF lot is combination of 3 lots and can be converted to a large single family, Duplex or Triplex, with the existing front house plus duplex in rear." 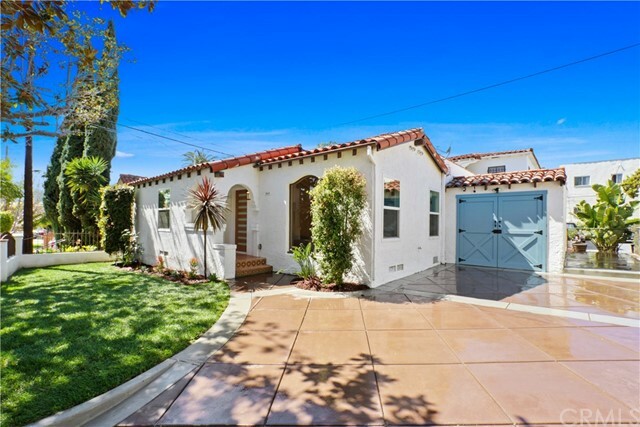 "Vibrant Mid-Century with a touch of Hollywood Glam on Oversized Lot in West Adams! Step through custom mahogany front door to 3BR/2BA of wide open kitchen, living and dining, feat. new wood floors, designer lighting + detail, and tongue + groove wood ceilings/beams throughout! Sunshine pours into renovated kitchen offering Carrara quartz counters, custom cabinetry, island, glass display cabs, all new stainless steel appliances and tons of storage. Large master suite boasts custom closet, all new glass sliders to rear yard, + sliding barn door to master BA featuring dual Carrara marble vanity w/sparkling subway tile shower + new hardware. 2 oversized BRs + modern hall bath offer room to grow! New plumbing, tankless water heater, 200amp panel, new HVAC, new waste lines, extensive landscaping, 2 car garage w/automatic opener, privacy fencing + new windows throughout. Plenty of room for gardening, entertaining + turning cartwheels! Grab coffee at Highly Likely! Hop on Expo! Easy 10 access!" 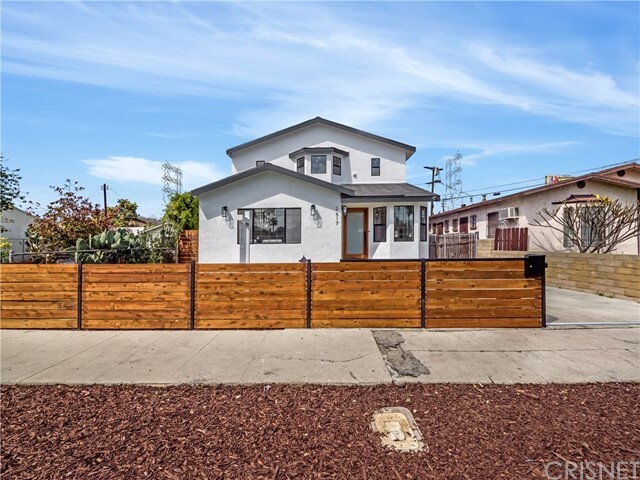 "Bright with natural light and open for modern living, this updated/remodeled fenced-in bungalow located on a cul-de-sac delivers easy living in sought after West Adams district/Mid City. Formal dining room can seat large groups and the adjacent living room area with an open concept kitchen are both a workspace and a gathering spot. There are 4 generous sized bedrooms with large mirrored closets and 2 full baths. Laundry room, updated electric, copper plumbing, recessed lighting, laundry room, & too much more to mention here. 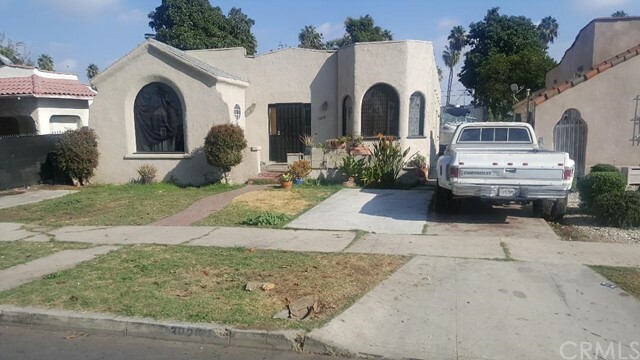 Large home zoned LARD2-1 with potential to convert into 2 units (buyer to verify). The long driveway can accommodate 4-5 cars. 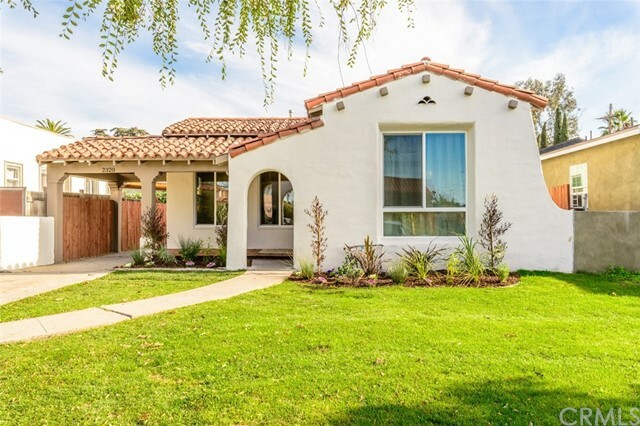 Close to Restaurants, shopping, transportation, 10 fwy, Culver City, Baldwin Hills, Cheviot Hills, Kaiser Permanente, Expo line. Please do not disturb occupants"
"Mid-City Heights Craftsman home located in Mid-Los Angeles. This home features four bedrooms and one and a half bathrooms. 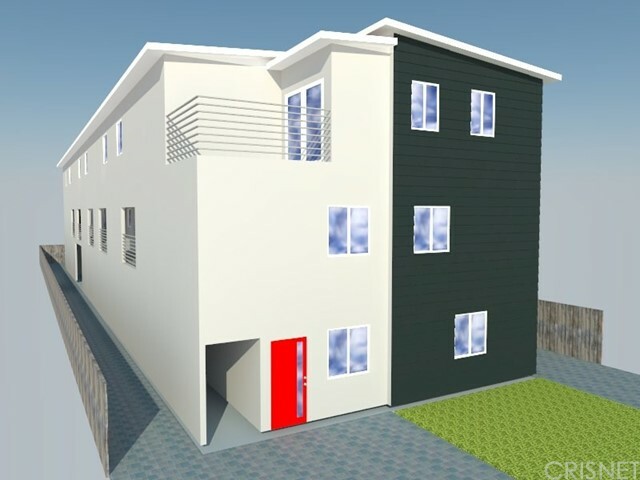 The first floor has a large bright living room, dining room, two generous size bedrooms, a full bathroom, and an office. The top floor displays the master suite with a walk-in closet, a bathroom, and the 4th bedroom. There is a spacious eat-in kitchen with an adjoining laundry room and a storage closet. The exterior of the home offers a newer roof, a screened patio, detached garage, and a nice size backyard. Property needs some updating. This charming home has great bones and is full of endless possibilities." "Amazing three level town home in gated community. Three bedrooms and 2 1/2 bath; master suite w/ a private full bath w/ spa tub, travertine floors. Two closets, including one walk-in closet. All bedrooms are on the 3rd level. 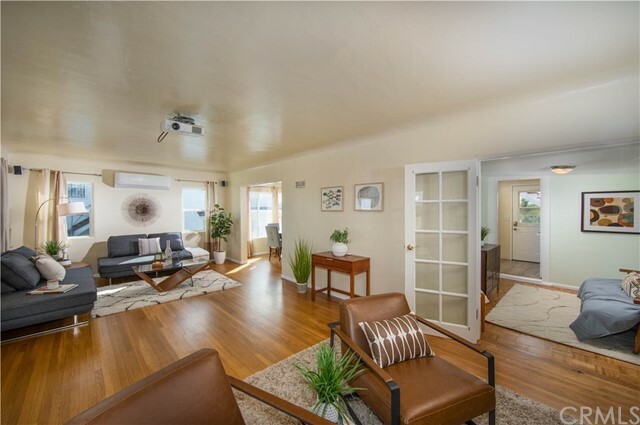 The 2nd level is an open floor plan w/ bamboo floors and high ceilings throughout the main living area. 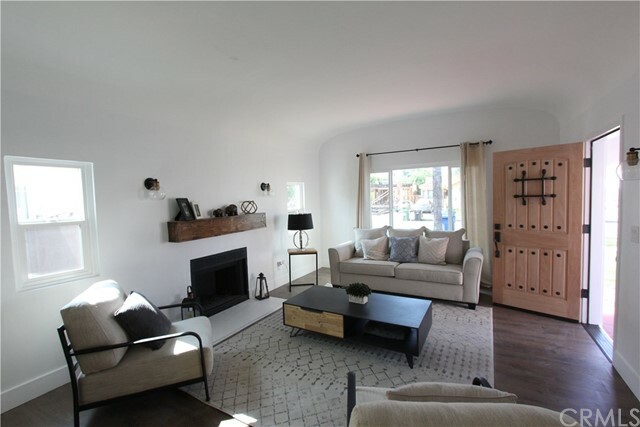 The step-down living room has a gas fireplace and direct access to front door entrance and private patio. Gourmet kitchen boasts a center island, granite counter tops and stainless steel appliances, with an eat-in kitchen area. There is a full washer and dryer hookup on the 2nd level. Two car attached garage with a private direct access to the unit. 1st level has a huge bonus room ( not included in listed square footage) which can be used as an office/study, music room, etc. Easy access to the 10 freeway, shopping centers, restaurants and entertainment venues. Truly a jewel. Please see private remarks." 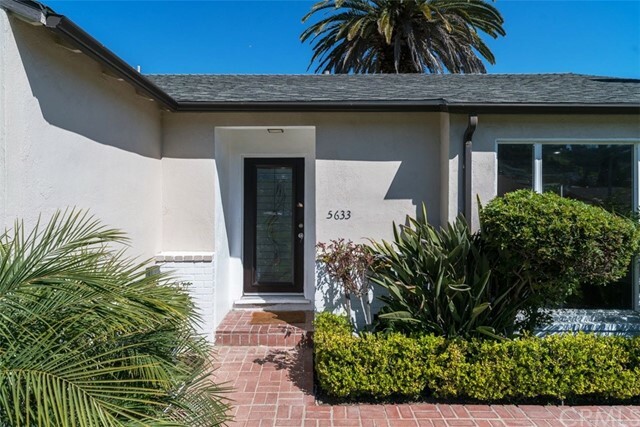 "A unique opportunity to own a large and fully renovated townhouse (1 of only 14) in LA's best kept secret in the gated community of Cameo Woods. Offering 4 bedrooms 2 baths and a bonus room that can serve as a 5th bedroom. Kitchen has granite counter tops, stove, dishwasher and refrigerator. Bright white modernized space with real hardwood flooring. Private washer and dryer in the unit. Parking includes a garage and a reserved parking spot for a total of 2 private spots plus an additional parking on grounds. Cameo Woods community offers 24 hour security, heated pool, tennis courts, and community garden. 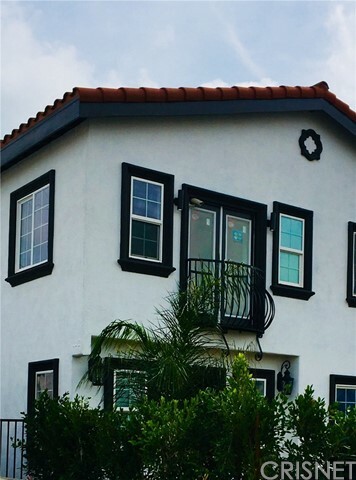 Enjoy a short distance to the new Expo Line station, Baldwin Hills Scenic Overlook, trendy downtown Culver City, and not to mention a short ride to both LAX airport, the beach, and all Westside amenities. Welcome Home!" "Reimagined 1920's California bungalow in the thriving West Adams Arts district adjacent to Culver City, Expo La Cienega, 30-story Cumulus project, Alta Adams restaurant + coffee shop, Delicious Pizza, Open Face Sandwiches, Vees Caf & multiple CIM group projects inc. a boutique hotel + residential/retail developments. This 2 bed + 2 bath home has been extensively updated w/copper plumbing, electrical + 200 amp panel, led recessed lighting, solid maple hardwood floors + new subfloor, double-paned windows, new kitchen, custom blinds, tankless water heater, solid wood doors, spa-like bathroom w/jetted-tub, new second bathroom w/large double walk-in shower, high-efficiency ductless HVAC, new garage door w/auto opener, 40 amp electric car charger, new gate for rear patio, & all new custom closets. This contemporary home offers a highly-functional open floor plan overflowing w/modern features & is surrounded by lush landscaping affording extensive privacy & green views from every window."